The newest addition to the Special Effects Category of DreamScape wallcovering, which will arrive at the end of 2018, is the Holographic Series. 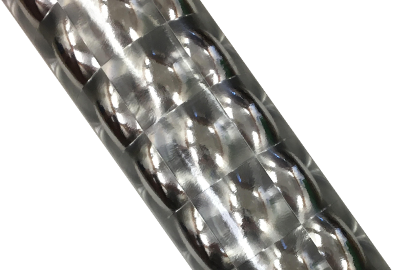 Consisting of the patterns, Deja Vu, Limelight and Rave, the entire series is vinyl and therefore compatible with UV, solvent and latex printing technology. They are the first of their kind in the wide world of wallcovering. 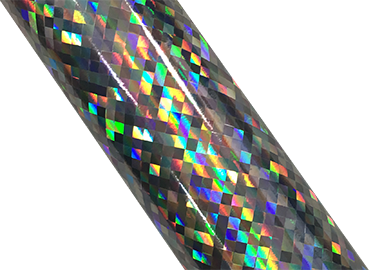 The “Holographics” are Type II, non-woven back, commercial grade wallcovering, weighing in at around 20 oz./linear yard each. Deja Vu draws on the Fresnel Lens principle to produce a wide range of visual effects when paired with the right printed design. It can create the illusion of being “hollow” behind the ink, as if the print were installed on top of a pane of glass. By the same token, it can give appearance of being backlit when bits of the raw pattern are allowed to “peak through” the print. Optics and Deja Vu go hand in hand, as it interacts with both visible and invisible light to enhance any wallcovering print design. 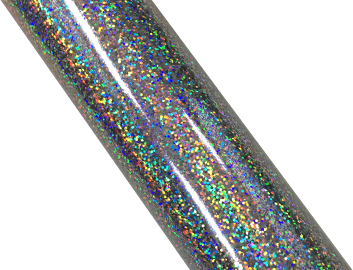 Limelight is, multidimensional holographic pattern that can reflect a wide array of color, depending on viewing angle. It has the unique ability to make a single printed design appear significantly different upon changes in perspective. Designers can also use ambient lighting to transform this one-of-a-kind, multi-colored wallcovering into something much, much more. Rave is any modern designer’s (and nightclub owner’s) dream come true. It is unbelievably beautiful both when left exposed and when selectively revealed from beneath an original print design. It adds an astounding amount of color and dimension when interacting with even minor light sources, and allows designers to highlight very specific aspects of their prints in very unique ways due to the high-definition, multi-colored pattern.